Welcome to day 3 of Classy Cookin’! 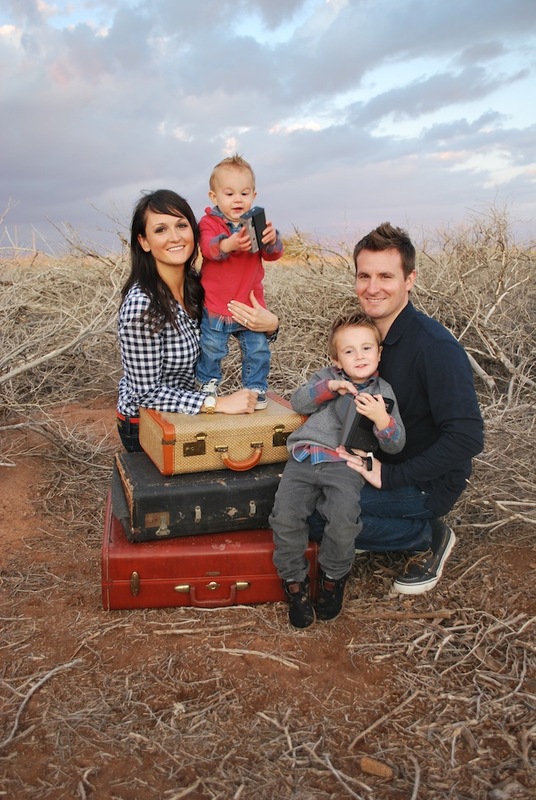 I am so thrilled for you all to meet our next guest blogger, Scarlett! Scarlett is Savannah’s younger sister and she is seriously Super Mom! She is incredibly talented (like her big sis!) and recently started her own cooking blog! Oh my goodness she is an amazing cook and baker so we were so excited that she agreed to take part in our week of recipes! Take it away Scarlett! Hey! 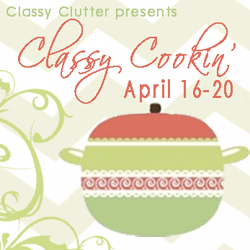 I am so excited to be a part of Classy Cookin! This is my first time being featured on another blog and I am ecstatic! My name is Scarlett Bendixen and I am the author of Made It Ate it Loved it. My blog is fairly new, but my LOVE for cooking isn’t! I was raised helping my mom in the kitchen, helped her with catering, goodie baskets during the holidays, and am now cooking for my family of all boys! I have been married to my husband for almost 5 years and we have 2 little boys, Crew (3) and Remington (1) with another on the way! The recipe(s) I have chosen have been my favorite for years and I hope you enjoy them as much as we do! Combine all ingredients (except bread) and whisk together. Dip thick Texas toast (My favorite is Aunt Hattie’s Texas Toast, which comes in a yellow bag) Brown on both sides on griddle; top with butter and syrup; my favorite is Buttermilk syrup! Combine butter, sugar, and buttermilk over medium heat in a medium to large saucepan. When it just starts to boil, remove off heat and add baking soda and vanilla. Stir; it will foam up. Serve hot. Can be refrigerated for up to 2 weeks. And then to reheat put in saucepan over medium heat until warm. Check out the rest of our Classy Cookin’ posts here! yum!!! these look amazing! I follow scarletts cooking blog and it is amazing! I have made several recipes from it and they are all soooo delicious! 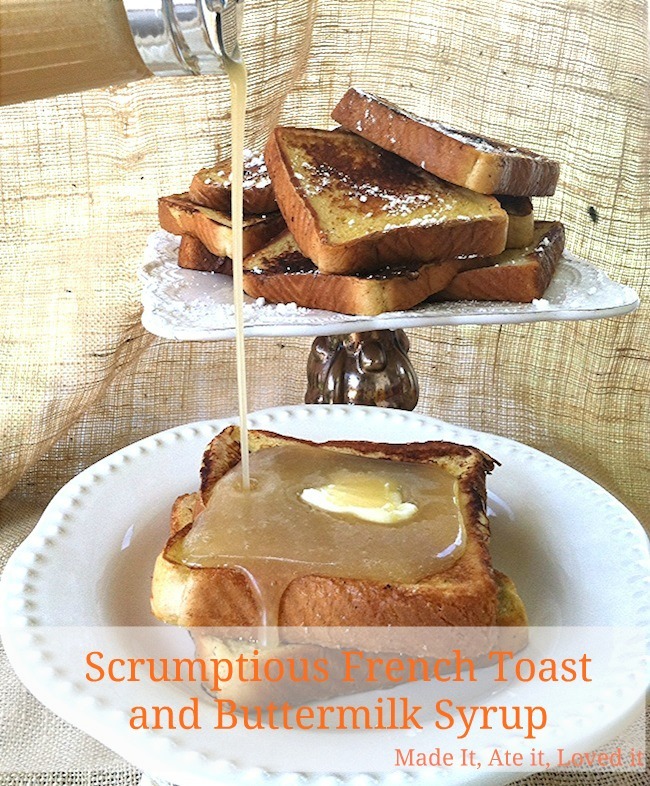 I can’t wait to make this yummy french toast!!!!!!! That looks incredible…seriously. Also, when I first saw the button at the top, I thought it was a Christmas ornament (and got way too excited for April)! YUM! This looks soo good!! I want to jump in a take a bite! That looks so delicious, I bet my toddler would love this… sooo… I must make it! BTW Ladies, I’ve nominated you for the Versatile Blogger Award, check out my April 18th post for info! Scar made this for me after I had my last baby and I can tell you it was AMAZING! Made this this morning! Delish! Our first experience with buttermilk syrup too! I am really happy for you and your family. Anyway, thank you for sharing this recipe. This really looks tasty and this is one of the reasons why this is in demand in diners and even in catering Fort Lauderdale. I hope that my folks will enjoy this as much as you do. Thank you again. Keep posting such great recipes.